Pruning mint is a pleasant task, as the plants release a new burst of minty fragrance with each cut you make. You have two objectives when pruning the plant: to keep the bed healthy and to prevent it from flowering and going to seed. Flowering reduces the quality and potency of the leaves. Read on to find out when and how to prune mint plants. 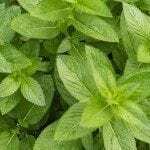 Never be afraid to pinch a few sprigs of mint when you need them, but if you need a large quantity of mint, wait until pruning time. If you want a low-growing bed of mint, you can keep it as short as 4 inches. This is a good height for mint grown in small containers. Otherwise, let it grow 8 to 12 inches tall before you prune it. You can sometimes get a light harvest from mint during the first year, but it’s generally best to wait until the second year, just before the plants bloom. After mint blooms, it loses some of its essential oil, making the leaves less fragrant and flavorful. Watch for the buds that indicate when the plant is about to bloom. Once buds appear, you can pinch them or cut back the plants. During the second year, you can cut the plants back two or three times. Trimming mint plants to the ground before winter is an essential part of preventing insect pests and diseases, such as anthracnose, that would otherwise overwinter in the plants. If you’re pruning mint during the growing season, cut the plants back by about half. 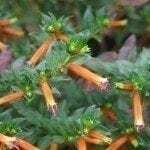 This will remove the tips of the plant where the flowers would otherwise bloom and provide plenty of mint for fresh use, freezing or drying. When you perform mint plant pruning at the end of the year or end of season, cut them to within an inch of the ground. 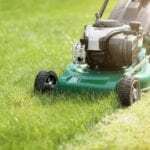 If you have a large bed, you can use a lawn mower.